People generally require some time to calm down and relax sufficiently in order to fall asleep and the deepest sleep stages normally occur 20 or more minutes after the onset of sleep. However, the onset of sleep and associated loss of consciousness can occur in an instant. This is particularly obvious in extremely tired people who can fall asleep at any given time, such as while driving a car. Similarly, getting up from sleep can occur very fast, for example in response to an alarm, although it ideally takes people much longer to become fully alert after awakening. The timing of transitions between sleep and wakefulness are also tied closely to the body’s internal biological clock located in the suprachiasmatic nucleus (SCN). This tiny structure is made up of about 50,000 brain cells which receive light signals directly through the optic nerve from the eye. Light resets the internal clock to correspond to the day-night cycle. This clock in turn regulates the timing of dozens of different internal functions including hormone release, temperature, sleep and wakefulness. The SCN promotes wakefulness by producing a powerful signal that triggers sleep. The SCN induces sleep by turning off the alerting signal. In addition, the SCN also maintains sleep actively throughout the night even after sleep drive has dissipated in the second half of the night. Nodding off to sleep at an inappropriate moment can be embarrassing and sometimes dangerous. And anyone who has experienced even a short bout of insomnia can vouch for the frustration caused by the inability to sleep at a desired time. These instances may happen more often if it weren’t for two systems whose interaction governs wakefulness and sleep. We have all experienced that undeniable urge to sleep. Staying up much later than usual, or waking up only after a few hours of sleep and then trying to stay alert and active throughout the day, are an unpleasant reminder of the power of sleep. And even when we seem to be alert and are unaware of the sleep drive, it is always present and growing while we’re awake. In fact, the only way to reduce rather than mask the urge to sleep is to sleep. Scientists refer sleep drive as a homeostatic system. Like blood sugar or body temperature, sleep is also internally regulated. For example, when body temperature drops, blood vessels constrict and we shiver; when blood sugar levels increases, the pancreas produce insulin; and when we remain awake for an extended period of time, structures in the brain induce sleep. 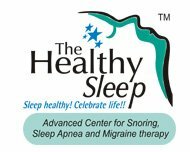 Moreover, the duration and depth of our sleep vary depending on the quantity and quality of sleep previously obtained. Every waking hour strengthens the homeostatic sleep drive. Although this strengthening isn’t directly measurable, many experts believe that it is a result of the level of brain activity during wakefulness. One hypothesis points out that the build-up of adenosine in the brain promotes sleep. The fact that both adenosine and sleep drive increase during wakefulness and dissipate during sleep suggests a possible link between the two.